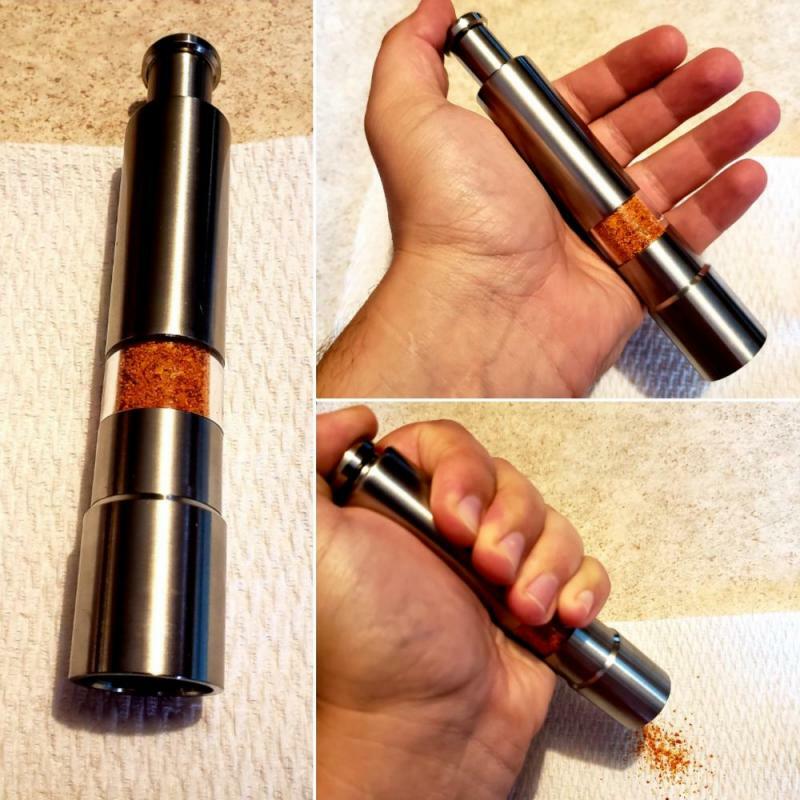 Mini pepper grinders full of your choice of powder! I have mini grinders available that can be filled with jimmy nardello, aji jobito, chocolate apocalypse scorpion, Naga viper, or reaper/ghost powders! Great for taking to work to spice up your lunch! $20 shipped, PayPal only. Thanks! Edited by GuyoFromOhio, 03 September 2018 - 08:42 PM. received, they look great! which is the bright orange? That one is the Naga viper. Glad you like them!